O e/ 23 y 25, Vedado Ciudad de la Habana. 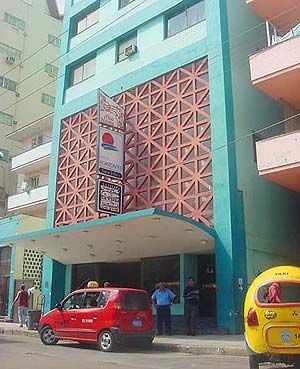 Hotel Saint John’s Havana Description: In the Vedado area, a few meters away from La Rampa, Havana’s entertainment hub. Is also a prominent feature in this bustling part of the city. It guarantees guests the familiar warmth of personalized and attentive care. With the plethora of activities organized for visitors, old and new, Saint John’s is the hotel of choice in the Cuban capital. On the last floor is the Pico Blanco bar, known as the Rincón del Feeling livened up with music of the forties sung and played by their better known interpreters. 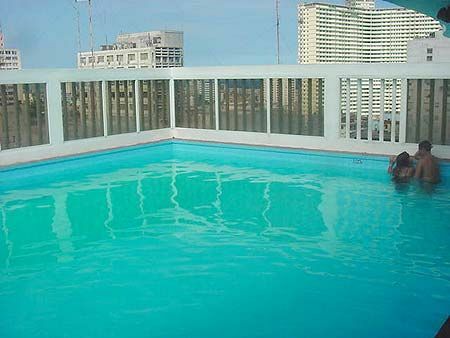 Also located on the roof is a small and intimate swimming pool. The Hotel Saint John’s Havana is a haven of tranquillity in the very heart of downtown. Budget, City Saint John’s - Hotel Details Address: Calle O e/ 23 y 25, Vedado. 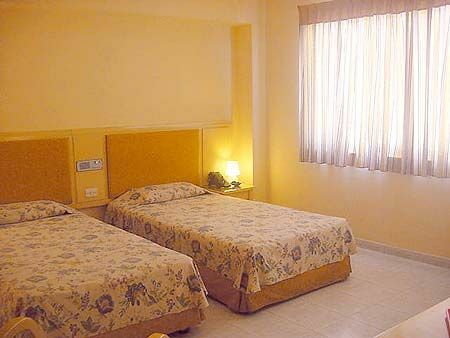 Ciudad de La Habana Number of Rooms: 88 Distance to Airport: 15 km Breakfast included in price. Property Amenities: Bar, Medical Services, Tour Booking Desk, Swimming Pool, Restaurant Hotel Saint John’s Havana - Room Standard Room Air Conditioning, Phone, Satellite TV, Private Bathroom, Twin beds, Power 110V/60Hz, Cold & hot water Check In Time: 02:00 PM Check Out Time: 12:00 M. Book our Cuba Hotels in Vedado downtown, enjoy the nightlife in this area. Combine your stay in an all-inclusive hotel, it is the Ocean Casa del Mar by H10 hotel. 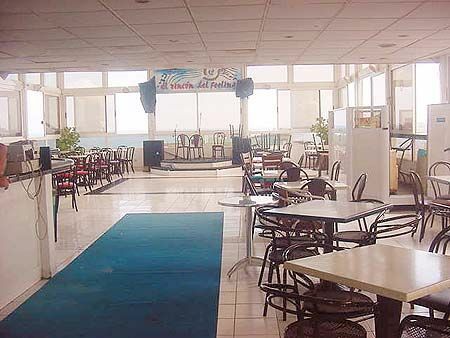 Hotel Colina, budget hotel with pleasant staff and good location in the Vedado district. No reviews for Hotel Saint Johns yet.